Does your interviewer keep answering your questions before you can ask them? We’ve got you covered. Last month we asked what parts of the job interview process you need help with. You all agreed that asking relevant questions was your top pick, so that’s what we’re covering today! 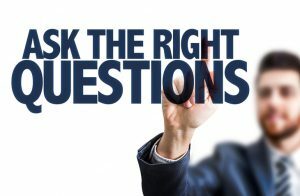 During your interview preparation journey, you’ve no doubt come across the tip that you absolutely must ask questions at the end of an interview. This is true. Asking great questions shows your interest in the position and helps you stand out against the competition. However, what do you do if your interviewer already answered the questions you had prepared? The key lies in your question preparation. You need to come up with multiple insightful questions so you have backups at the end of the interview. However, avoid asking questions just to ask them—everything you prepare should be relevant to the position. We realize it’s hard to come up with these questions on your own, so we’ve prepared a few of our favorites. Feel free to customize them to suit your unique interview situation. 1. A question asking for more information about the job. For example: If I were hired for this position, how would my performance be measured? This question shows that you’re interested in the intricacies of the position beyond the job description. It also shows that you’re goal-oriented and are already thinking about how you can be the best employee possible. 2. Something specific about the company’s culture that wasn’t covered online. For example: What factors were considered when designing your logo? How did you settle on your current mission statement? Although this question will change depending on the company, showing an interest in the company’s culture is always a great idea. Such a question displays your passion and interest in the company as something more than a place where your job is. 3. A question specifically tailored for your interviewer. For example: I saw on LinkedIn that you oversaw [project name]. What was that experience like? Or: Have you ever had an experience at [company] that really made you think ‘this is what it means to work at [company]? What was that like? These questions show that you’re curious not only about the company, but about your interviewer as well. A slightly more personal question can get an interviewer to lower their defenses and see you as an individual, not just a job applicant. You can also get great answers from these questions that provide a behind-the-scenes look at the company. Just make sure not to ask about any failed projects or hard financial times. 4. A question regarding the recent history of the company. For example: I saw that the company recently overcame [problem]. Would it be alright if we discussed how that was achieved? Be careful with this one. Although showing that you’re interested in how your skills can solve a past company problem, you don’t always know how an interviewer is going to react. Some companies keep these problems close to their vest, while others love to see brave interviewees take on problems before they even get an offer. Research online, get a feel for the culture, and only then decide if you want to take the plunge. Avoid any emotional issues like layoffs or company reorganization. What will the next steps look like? This one is more for your benefit than the interviewer’s, but it does show that that you care about what happens next. And you’d be surprised how many interviewers fail to cover it during the interview! Have any question you’ve had success with in interviews? Let us know in the comments section below. Previously, if my questions have been answered, I would simply compliment the interviewer on their thoroughness and recap my questions. Depending on the rapport with the interviewer, my final question maybe a sincere “When can I start?” with a smile. After a pause for them to chuckle, I would share why I’m very excited about the position. Insincerity in either of these responses will result in failure. Thank you for the comment Kerry! I am so glad this was sent to me this morning, I am seriously in love with question number 1. I have an interview today and I will be using this. I am also in line for a 3 part interview what is the best way to handle questions as they will likely be answering these and many more questions you have the further you get in the interview process. Hi Stefanie, thanks for your comment. We’re always happy to help! For interviews with multiple rounds, consider sticking to one question about the company or job in general (regarding culture, history, job responsibilities, etc), and one question where the response will differ depending on your interviewer. For example, in one interview you could ask a question about the culture of the department you’ll be working in, and another about how your interviewer in particular handled a project or about a moment when they saw the company’s values in action. That way you’ll have one question that shows you’re interested in how you fit in with the company, and one question that you can ask multiple times (try to phrase it a bit differently each time) because different interviewers will have different answers. For myself this often the one that means I am looking for a very clear answer and gives me a great insight to who I may be working for. I job description rarely reveals the specifics as to what the employer is truly seeking. In the majority of cases it is very generic and often does not address core subjects that may be at the very heart of your perspective employer. To me on time and there every day is a given. but maybe you are looking for that individual who will go the extra mile. The employee who is willing to work over time, variable shifts and who you can depend on to do more than just the job. I have found it to be a great measuring tool in just that question. That’s a great question to ask Lawrence! Thanks for the comment! I recently had an interview, and the question that I asked was about the retention of their employees in that the department. I asked that questions because working in a positive team environment is important to me, and a team isn’t effectively built if the turnover rate is constantly changing. The question went over well, the interviewer thought it was a great question.